The complete set of tools for your Digital Asset Management needs! With our application running on the Amazon platform, you can get started using our solution within minutes. It runs securely within your own private network and subscription. Only with one tool you can empower your team to focus on important tasks, reducing repetitive and mundane activities and dependence on expertise knowledge and software. For the better life of your files. Easily upload, store and manage any file type in the cloud. You have the complete control of sharing, collaboration and usage of your files internally and with 3rd parties. Our Solutions keep track of ALL your videos, images, graphics and documents. Easily find, use, organize, modify, move and manage your asset. Empower your colleagues and let them easily find and use what they’re looking for. This will save you a lot of time. Access your content on any device and from within your favorite applications, such as Word or PowerPoint. Quickly solve tasks while you’re on the move, publish files and approve content for further use. Be assured your files are safe, and bring them with you wherever you go. 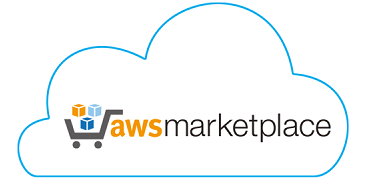 With our application running on the Amazon platform, you can get started using our solution within minutes. It runs securely within your own private network and subscription. We have included a 30-day free trial in our offer, so you can start when you want. Looking for Fully Scalable SaaS?